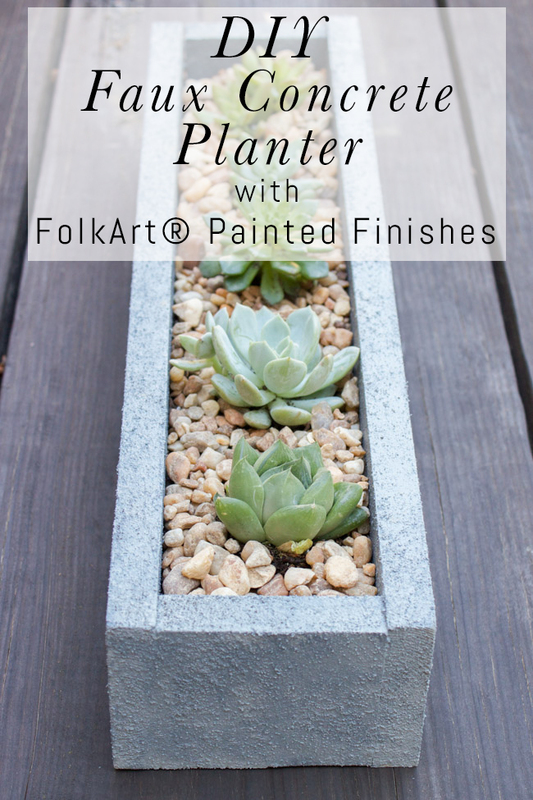 I am having so much fun playing around with all of the new Plaid® products hitting the market this summer, and the latest line I had the opportunity to use was the FolkArt® Painted Finishes. 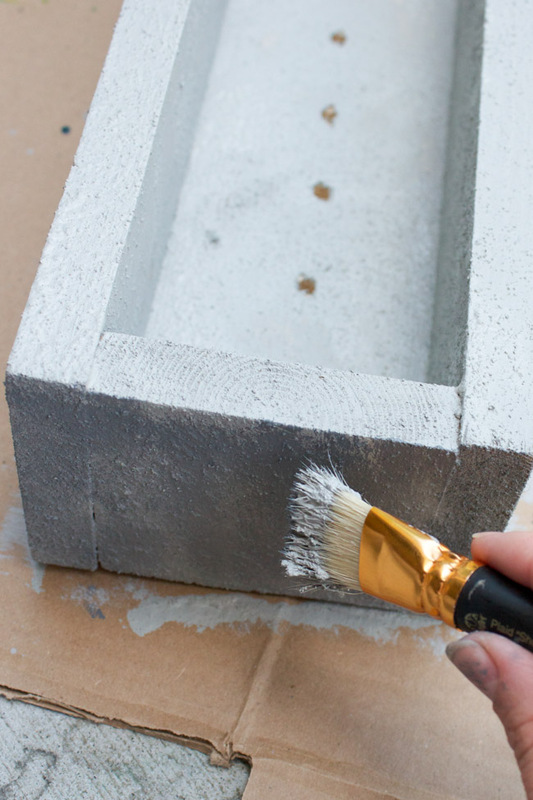 I used the FolkArt Painted Finishes Concrete to create a DIY Faux Concrete Planter. First, let’s chat about the products. I had the chance to experiment with all of the new FolkArt Painted Finishes when I visited the Plaid headquarters a few months ago, and I love them all. 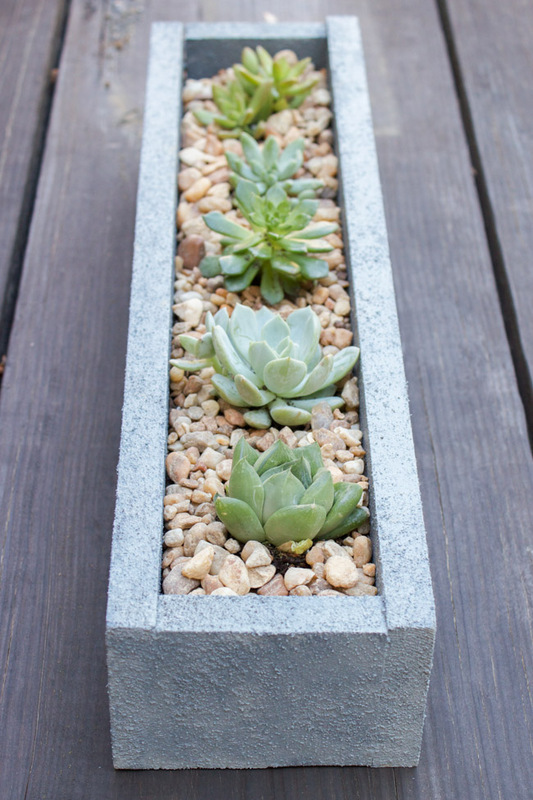 They come in Rust, Moss, Concrete, and Barnwood Finishes. They literally just became available in stores. Now, for the step by step tutorial. Here’s what I used for this project. 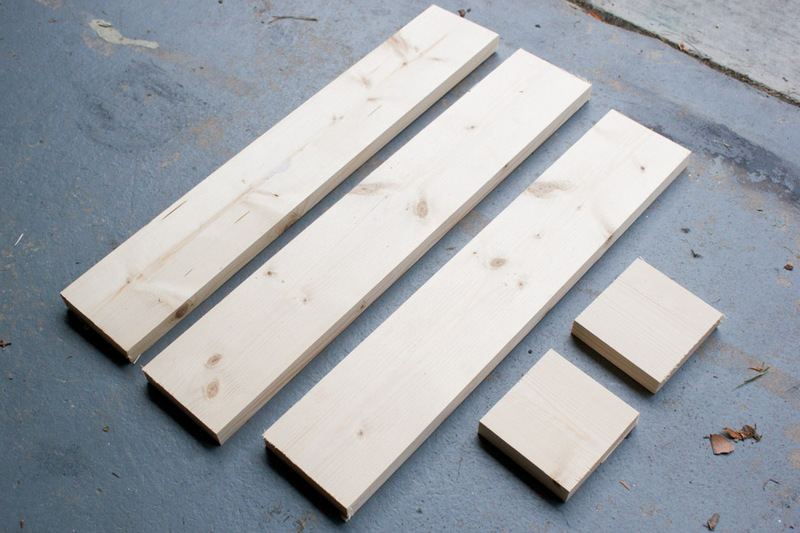 First, cut your 1×4 into two 20″ long segments, one 18″ segment, and two 4″ segments. Sand any rough edges. 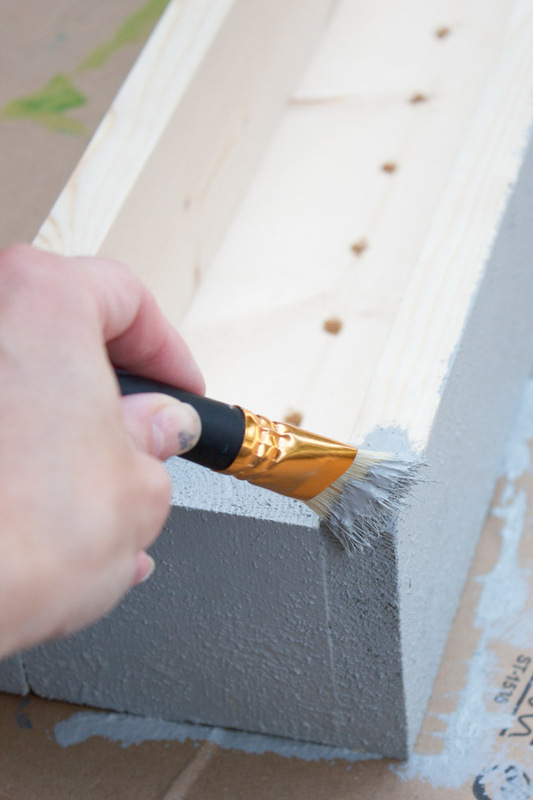 Glue and nail your pieces together to create a box. The 20″ segments are the sides, the 18″ segment is the bottom, and the 4″ segments are the ends. 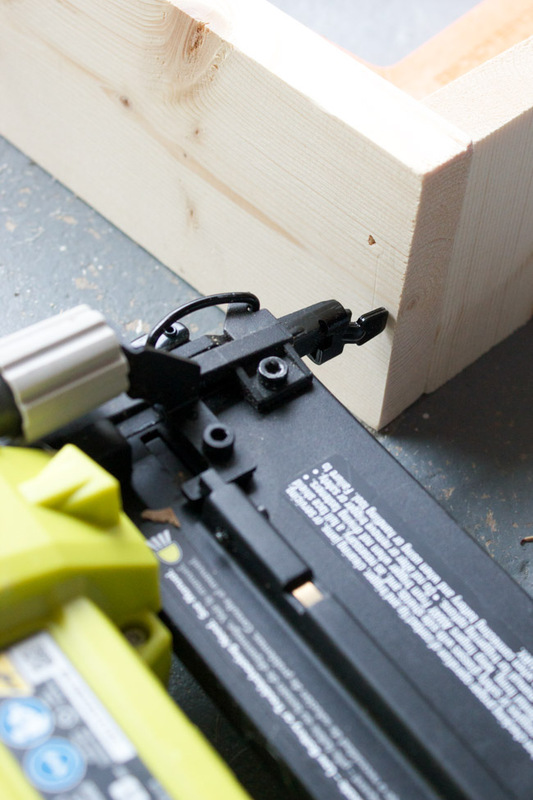 I used a brad nailer for this, but you could use a hammer and nails if you prefer. 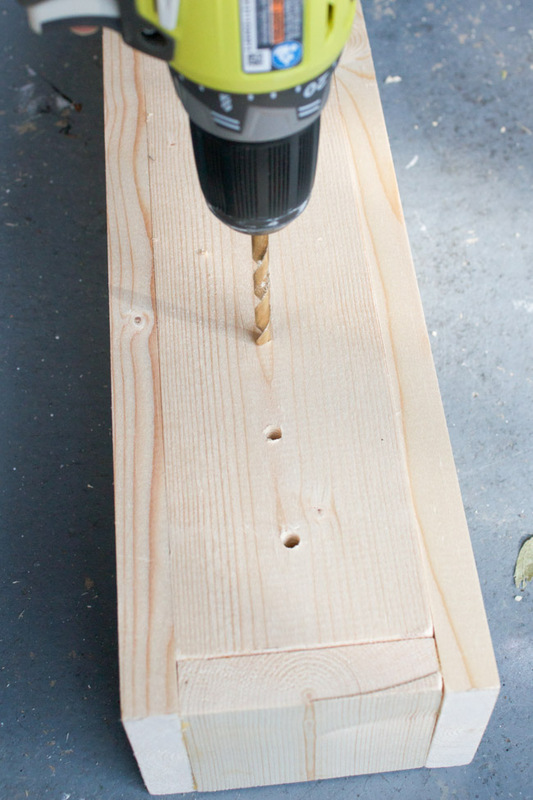 Drill several holes in the bottom of your planter to allow for proper drainage. 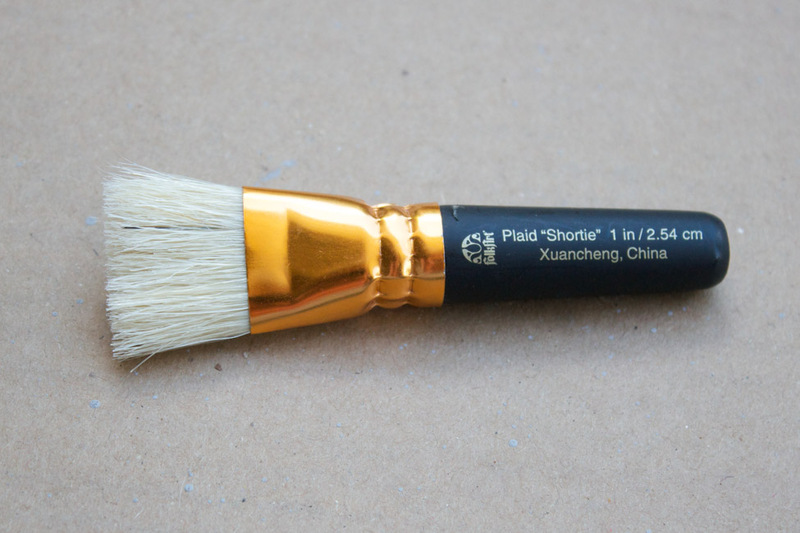 This FolkArt “Shortie” brush is amazing, by the way. It comes in a 3 piece set and is made of 100% hog hair with flag tip bristles. 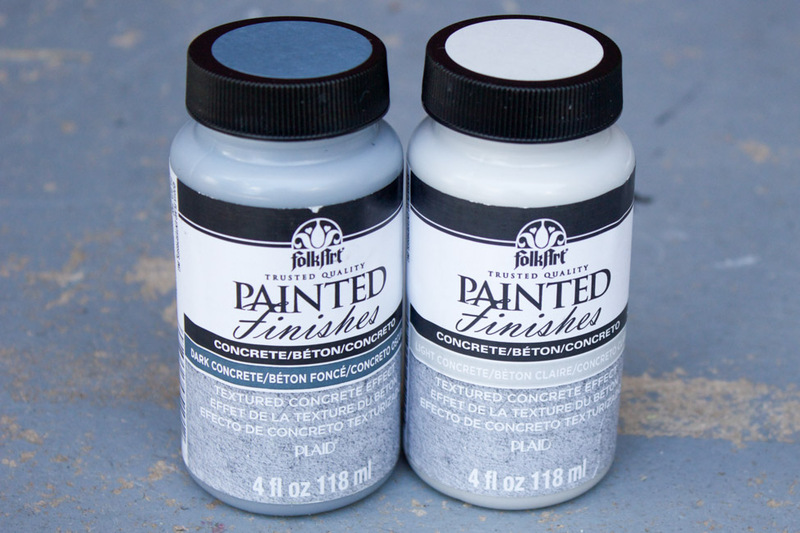 It’s 1 inch wide, and perfect for use with thick or textured paints. Randomly dab the darker color on top of the light, mixing the two shades until you achieve the look you want. It should be dry to the touch within 4 hours, and will cure to the surface in 24 hours. It is self-sealing, so no need for varnish. 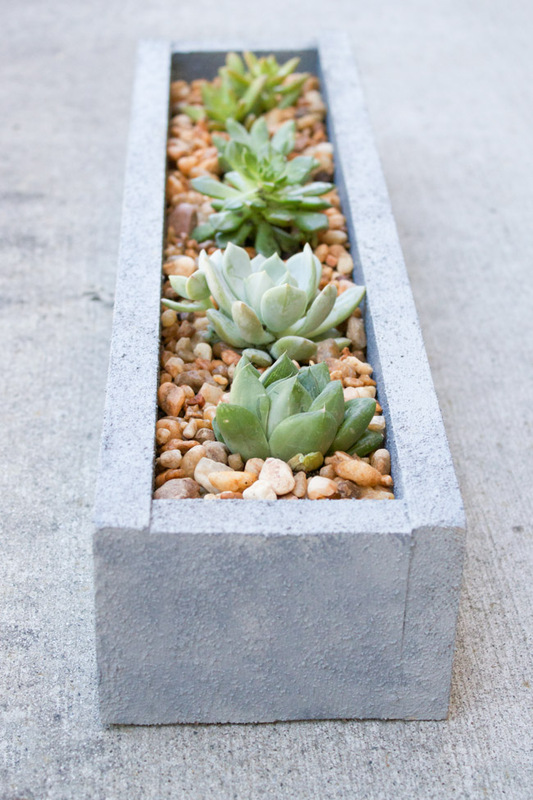 Fill the planter with potting soil, add your plants (I used succulents), and then surround them with pea gravel or small rocks. Now we have the perfect centerpiece for our outdoor table. 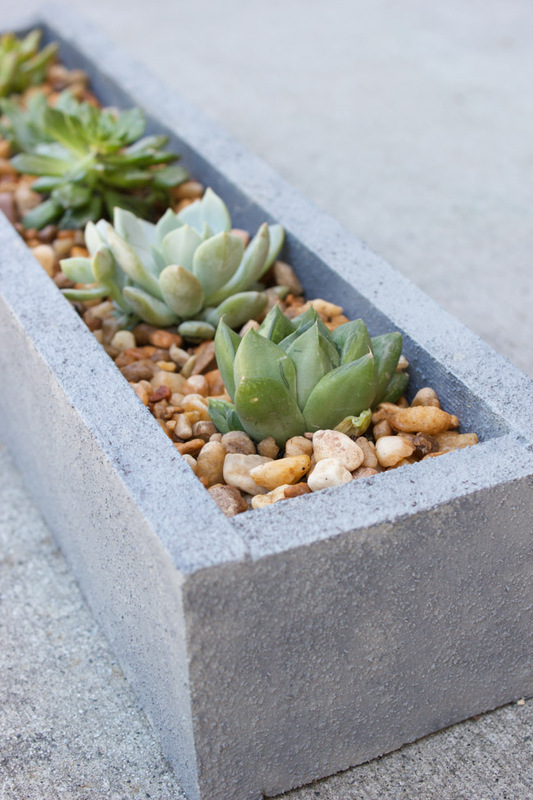 And check out that awesome concrete texture! For more ideas and inspiration, be sure to connect with Plaid on Pinterest, Facebook, YouTube, Google+, Twitter, and Instagram. 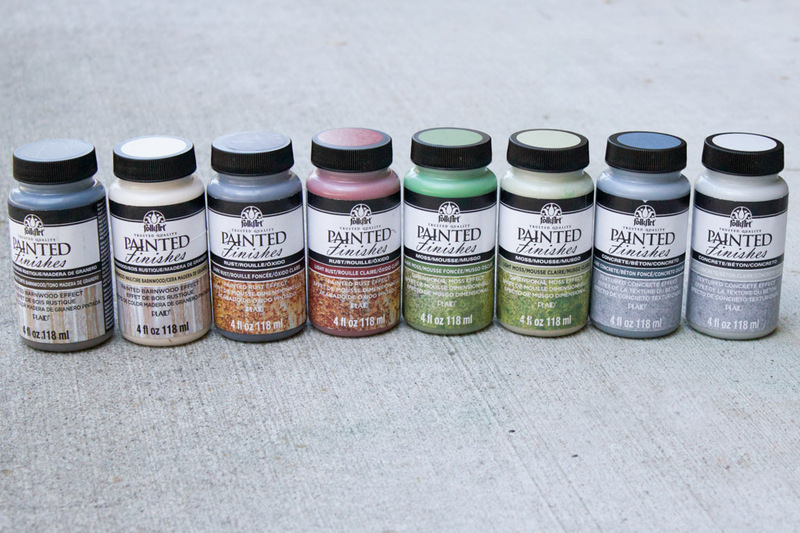 I’d love to know, which FolkArt Painted Finish are you most excited to try? Leave a comment and let me know! This is awesome Erin!!!! 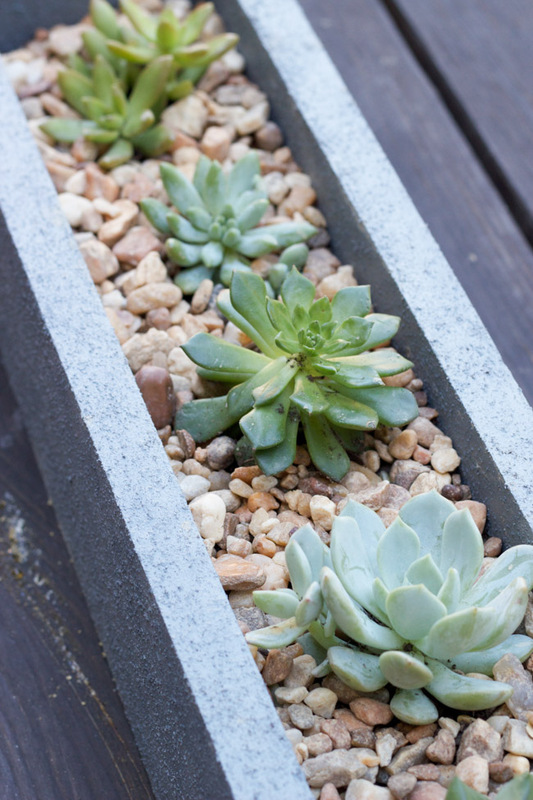 I love the effect and will definitely have to keep this in my DIY to do!